Employee advocacy is the promotion of an organization by its staff members. This is meant to help generate positive awareness of a brand through the employee’s personal circle of friends, family and social media followers. 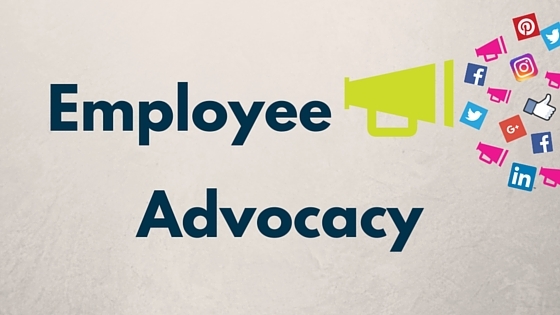 There are many benefits to establishing an employee advocacy program. With smart, strategic planning your employees can be an excellent asset to your organization’s marketing efforts. If you are interested in taking a page from Starkey and learning more about the benefits of employee advocacy, keep reading below. The first benefit of employee advocacy is that it helps to increase brand engagement. Social media sites, particularly Facebook, are designed for one-on-one interactions among individuals. It is likely that your employees’ posts will receive more attention and engagement once you offer them a free webinar service on best practices for social media. This is because they have a personal connection with their followers. It is also likely because Facebook’s current algorithm is tailored to feature posts from individuals rather than corporations. This is a great thing to keep in mind if you find that your brand needs a boost. Having employees engage with their employer on social media improves recruitment numbers. This means less need for time consuming career fairs. When employees’ followers see how much their social media friend enjoys their job, naturally they are going to be curious. They may even be curious enough to apply. Employee engagement on social media helps to promote your company to people within their network. This opens up the opportunity for new hires and new recruitments. This is certainly something to take into consideration. Another great thing about employee advocacy is that it allows employees to take ownership of the organization, whether it is the patent attorney or a mail room staff member. This shows trust between the employer and the employee because you are allowing them to take on a direct role of building your company’s brand. Employees will feel more invested in your business’s success. If you want to create a work environment that focuses on collaboration and trust, you need to consider creating an employee advocacy program. Businesses tend to stick to the most popular social media sites such as Facebook, Instagram and Twitter. However, employee advocacy can help to build an online reputation away from the traditional platforms without diluting their number of accounts. Employees will often have personal accounts on less popular platforms such as Reddit and Tumblr, which will allow them to reach a new group of potential customers. If you want to improve your business’ social media presence without spreading your marketing team too thin, employee advocacy is a great way to make that happen. Employee advocacy also helps to generate a positive reputation among consumers for many reasons. First of all, potential customers will be given the opportunity to have meaningful interactions with your brand ambassadors. Additionally, your employees will have already built a trust among their followers, which makes their support of the brand that much more special. If you want to ensure that your business is viewed in a positive light, and figure out how to improve productivity all at once, allow your best employees to share their experiences. Lastly, employee advocacy programs can help to improve overall sales for the business. Your employees are using their platform to promote the brand, which helps to keep your business at the forefront of people’s minds. Additionally, it could be as simple as employees recommending your products or services to friends and family. When brand ambassadors help to spread a positive message about your organization you are much more likely to see an increase in sales. Employee advocacy is an essential tool for businesses and telemarketing companies to help improve their brand engagement. In a trusting work environment, employees can make meaningful contributions to the success of your business. By increasing sales and building a positive reputation, employee advocacy can be the key to improving your marketing efforts.